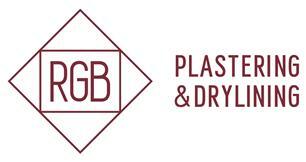 RGB Plastering & Drylining - Plasterer based in Bournemouth, Dorset. We are a small plastering firm with big ideas and high standards. Trained in the installation of metal frame stud partitions and ceiling systems, dry lining, traditional plastering (float and set, skimming etc) and a wide range of custom venetian plaster finishes. We have extensive knowledge of working with new builds and modern construction as well as traditional buildings and renovation projects. Following 10 years based in France, in 2016 we swapped the beautiful countryside of Normandy for the equally beautiful surroundings of Dorset. Whilst we work mainly in Dorset and Hampshire, we are happy to travel into further afield should the job require it, so please get in touch to discuss your requirements. Dorset, Hampshire and some areas of Devon - please call or email.